This time last year we were celebrating with a Winnipeg Whiteout as the Jets 2.0 made the playoffs for the first time. 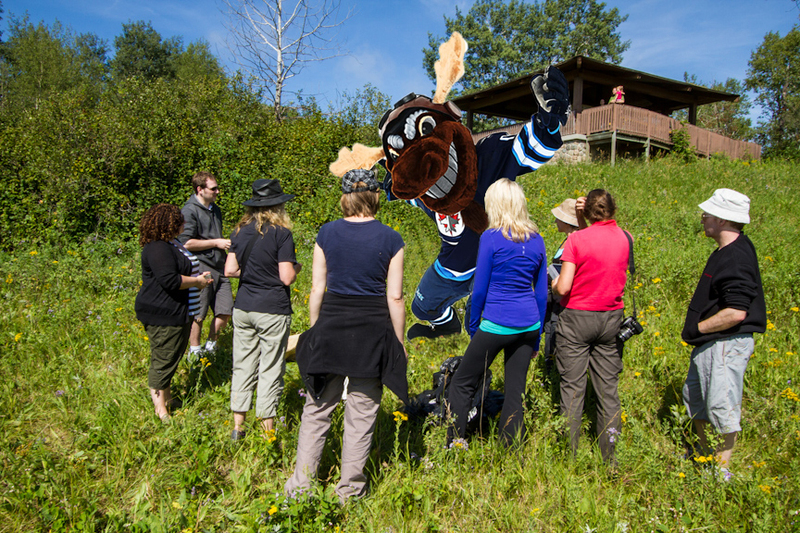 And while our collective hopes for a another run at the cup fell short this year, we had a few thoughts about how some Winnipeg Jets could spend their off-season – connecting with their fans and the place the love to play by taking part-time jobs in the tourism industry. The big guy loves to fish, so #33 would surely be happy to spend his days on the water. And just like he delivers massive hits, he’ll deliver massive fish that will leave his clients reeling. This rugged right-winger has his teammates’ backs. Which is why he would make a great polar bear monitor – on the lookout for danger, ready to act when necessary to protect those out on the tundra with him. The crowd-pleasing defenseman will deliver the hits, with his new fusion instrument – the trouba – a combination of tuba and trombone. This netminder knows a thing or two about the importance of making big saves, like how this protected area is saving one of Manitoba’s rare ecosystems. His knowledge about butterflies will come in handy as he follows the rare Powersheik skipper through the traffic of over 20 kinds of butterflies. Embracing his French-Canadian roots and his period-appropriate facial hair, this forward would fit right in, grinding it out in the blacksmith’s shop. His experience under pressure in the faceoff circle means he’s ready for the heat of the forge. The coach’s keen eye and quick whistle will keep beach-goers safe, praising those who lead by example and expressing frustration when the beach ball is repeatedly turned over. Mick can return to his roots, leading wildlife enthusiasts through the park in search of moose, elk, lynx, and more. Although it might make sense for the mascot to leave his “Get Loud” signs at the rink.